WANT TO KNOW HOW TO MAKE SLIME ON AN INDUSTRIAL SCALE! If the answer is YES read on! You simply can't have enough slime! Storm has been making slime for over two years and is something of an expert when it comes to making a an abominable slimy mess in the kitchen. However the results are huge pans and jars crammed with fluffy, glittery and even magnetic slime. In her book she will reveal her MEGA recipe for making enough slime to keep any child happy. So if you want to make a HUGE BOWL OF SLIME get reading. 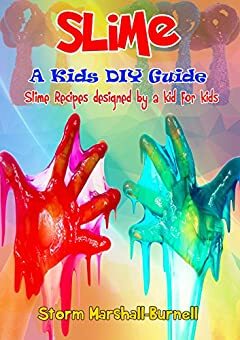 You will also find loads of other methods and recipes for Slime perfection.